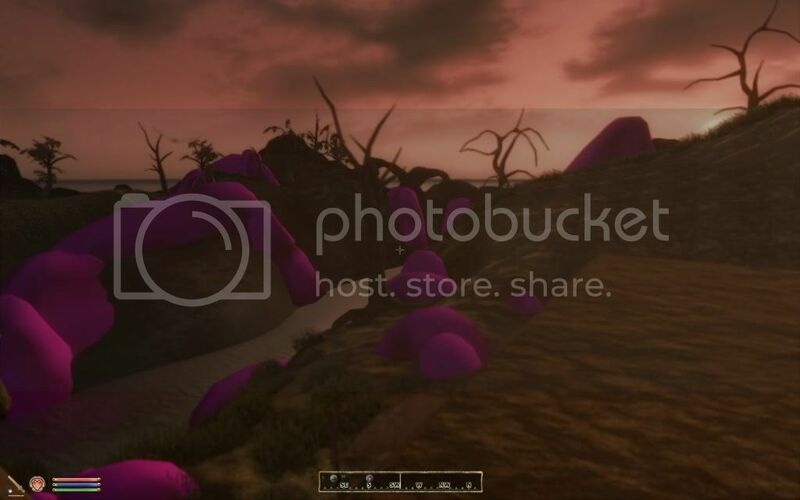 Now people can see Morrowind! This truly, truly is a Masterpiece! When i was downloading pary 7, i click to start download. Nothing happened. I tried many times. And also when i tried to install pt 1, it said i need pt 7. It happens when too many people try to download the same thing and you are already multi-downloading. So try later, it should work. I was wondering if i have enough graphics memory & if i do all i need to do is tweak the any. Right? Many thanks to eloth for this and to the rest of the Morroblivion team that made this possible! Does anyone have the new radeon hd 6790? if so how does it do with this mod? Running a single Radeon HD 6870 1GB which has roughly the same specs and it's smooth. I'm also getting purple mountains/rocks in Balmora! Missing some textures? Everything else looks wonderful, but my FPS took a huge hit, running an i5-760 overclocked to 3.6 GHz (stable), and a 2GB ddr5 hd6950 videocard.. FPS went from around 60 average at 1080p to around 11 average at 1080p! This was with the textures and the oblivion.ini tweaks, maybe it was the tweaks rather than the textures. I dunno! If you can give him exact objects that will make it easier for him. edit. I had an idea about the missing meshes, but I just trying and nope, it didn't work, there is some missing. Cant seem to download part 3 right now, the link works, but the "Click Here to Start" leads to a blank page rather than starting a download. anyone else with that problem ? The only missing/purple textures I've encountered are the rock formations in West Gash, as others have mentioned, and Imperial Cult altars. Nothing else seems to be missing in any towns or regions that I've seen. I did a tour de Vvardenfell on foot and averaged around 35 fps, only dropping below 25 during transitions. Very few hiccups overall...it's a great experience. Wll I had purpla shacks in Seyda Neen; but noone else seems to have that problem(I've seen shack pictures), and I had few problems instaling them so It won't surprise me it is my problem. Thanks! Your link is super fast! Looks great, just missing a few textures! I am DLing this now, but I have some questions in the meantime. Have the issues been resolved with the textures? Can we simply delete x texture before installing so there is no issue? And if so what textures should be deleted? I have read that OB does not respond well to changing the Ugrids setting, yet you recommend it, I'm I misinformed? Are there any issues if you do not change the settings in the ini? I can up the LOD and Ugrid settings in FNV, but I don't know if my 4870 1GB can handle doing anything like that in OB less optimized engine, can you recommend any settings for mid-range cards or should I just keep the ini like it is? Other specs: PhenomX2(quad) 3.0 8GB Ram. Any help with my questions would be appreciated, thanks. im currently uploading the missing textures, will put up a link very soon. there is no need to delete anything before install. a card that is below radeon 4870. 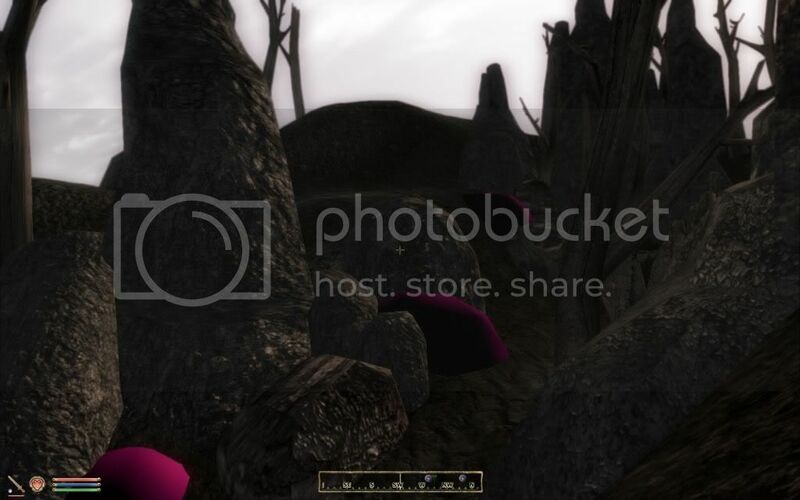 Is anyone using Oblivion Graphics Extender with the Visual Overhaul? Is it stable? haha Thanks, just trying to save myself from a bad headache. Screenshots look amazing. I can't wait to see this in game. I finally have a GPU that can handle this stuff nicely. can anyone test this mod? any help is appreciated, Thx. incase someone missed this but can anyone test this mod? cool, thx for the help dnB and eloth! I keep getting missing file errors when copying the files from the first D/L to the oblivion folder. The transfer never completes. I'm still getting missing rock textures around Balmora and Caldera. I'll check a few other places to be sure. Does anybody else have this problem? Using it, love it, no conflicts so far. There is a big frame hit but thats to be expected with so much eye candy. To be honest, while it is in most cases, breathtaking, there are portions, such as the road between Seyda Neen and Balmora that look dreadful. But, otherwise, it's amazing. Does the second missing textures RAR file add on to the one before or replace it?